As one of the leading red diesel suppliers in the UK and one of the top red diesel suppliers in Birmingham. We deliver red diesel to all types of businesses – from construction sites to factories, farms, and schools. Red diesel is used for machinery as well as heating. It is a rebated fuel which must be used in compliance with the law, but it’s much cheaper than regular diesel (road diesel). Crown Oil is renowned for the high levels of service we provide. We only supply the highest quality industrial fuels and lubricants, and our deliveries are always on time. If you need an emergency delivery, we can deliver red diesel on the same day. Just give us a call on 0845 313 0845, and we will arrange a red diesel delivery for a date and time convenient for you. Crown Oil has been supplying red diesel to customers in Birmingham for nearly 70 years, and it’s the chosen form of industrial fuel and heating fuel by many people in the UK, and Birmingham is a big user of this fuel. Red diesel can also be used for non-highway vehicles as it is economical, reliable and efficient. With forced air furnaces, red diesel is a money saver, and with our sizable fleet of oil tankers, it is easily delivered to your home or business. 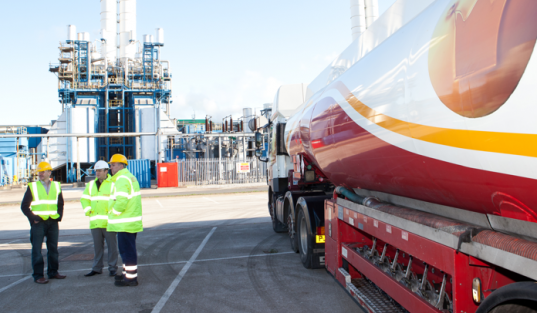 We have a range of tanker sizes able to attend your property whether it is easy to access or difficult. When winter is stamping at the door, the priority on the minds of many people is staying warm. Heating fuel users have an added concern as their heat has to be transported and they must worry about a punctual delivery, so they do not find their loved ones facing a cold day or night without heat. Reliable red diesel suppliers are important when you need fuel for heating as well as other applications such as back generators. Our company can deliver your red diesel fuel to you when you require it. We have been selling red diesel in the Midlands area for many years and understand the climate and the structure of the homes using gas oil. We are familiar with the heating elements used and give suggestions on your heating system to make it more productive. Our experienced advisers can help you with heating appliances, furnaces, and other elements. We are knowledgeable about the heating, construction, and agricultural industries and want to become your reliable red diesel supplier. We offer gas oil at the best prices possible. Purchase the fuel in various quantities; 500 to 36,500 litres or you can purchase red diesel by the barrel (205 litres). Our purchase of red diesel is by bulk quantities so we can pass the savings to our customers. Enjoy efficiency, reliability, and quality with gas oil deliveries from Crown Oil. This only represents a small selection of the areas we are able to cover around Birmingham and the Midlands. So even if you do not live in or around these locations, please still get in touch with us as we supply Red Diesel Nationwide on a 24/7 basis.